Benjamins Estate Agents are pleased to bring to market this extended three bedroom semi-detached house in the sought after village location of Keyworth on Ashley Road. The property benefits from having no chain. 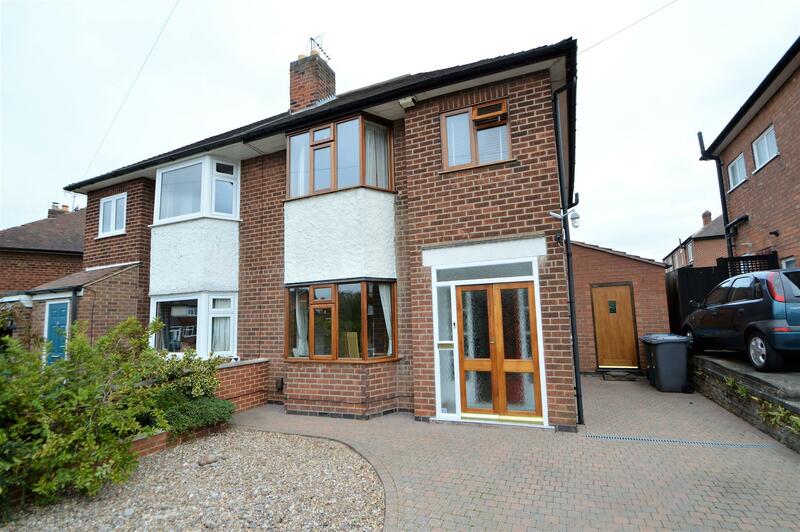 This property is situated in the well established and popular residential village of Keyworth. Convenient location within walking distance to the local amenities including, shops, schools, sports facilities and public transport services into Nottingham City Centre and West Bridgford. 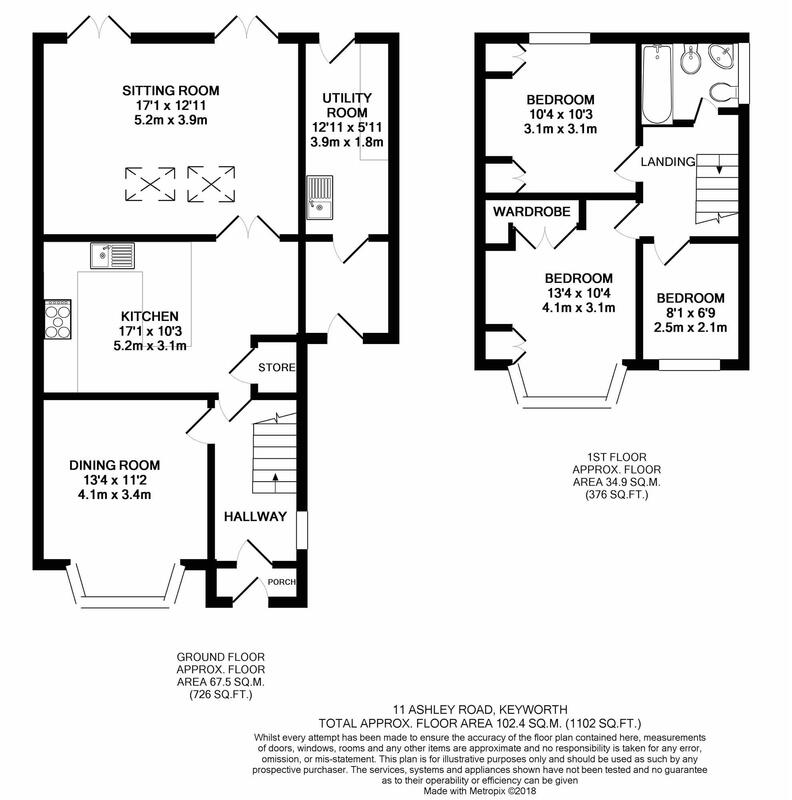 The property comprises; Entrance porch & hallway, dining room, kitchen, rear living room, utility room, three bedrooms and a family bathroom. Large private garden to the rear and driveway at the front of the property. Double doors into the porch. Welcoming entrance hallway with window to the side aspect, parquet flooring, radiator, stairs to first floor landing & door into the dining room and kitchen. The kitchen has a range of wall, base units & drawers, with a breakfast bar / preparation area along one side, gas hob with extractor above, integrated oven in housing unit, integrated fridge freezer, radiator, wooden flooring, spotlights, the sink is one & a half bowl drainer with mixer tap & filtered water dispenser, from the sink there is a window into the rear sitting room. Storage cupboard & space for a table and chairs. Double doors into the rear sitting room & door to the inner hall & utility room. Bay window to the front aspect, open chimney breast without fire, laminate flooring, radiator & ceiling spot lights. Double doors from the kitchen into the rear sitting room, ceiling spot lights & wall lights, large skylight window, radiator, wood flooring, two sets of double doors out onto the rear garden. Wooden door with access to the front of the property, space for hanging coats, boiler and shelving, door into the utility room. With a range of storage cupboards down one side and plumbing for washing machine, sink with tap, towel rail radiator, ceiling strip light and door onto the rear garden. Doors to the bathroom and three bedrooms, exposed floorboards on landing & stairs, window to the side aspect, access to the loft. Window to the front aspect, fitted with a range of built in wardrobes, cupboards and drawers, radiator and laminate flooring. Window to the rear aspect. Built in wardrobe and cupboards, radiator and laminate flooring. Window to the front aspect, radiator & carpet. Fitted with a modern white suite incorporating panelled bath with mixer taps and shower over, low level wc, wash hand basin with mixer tap and bidet with mixer tap. Chrome towel rail and fully tiled walls & window to the side aspect. The rear garden has a patio seating area, wall with two steps up to grassed lawn and planting areas, bushes and fenced borders. The front of the property has a block paved driveway with parking for several cars, enclosed by a hedge and decorative stone. The local authority Rushcliffe Borough Council has advised us that the property is in council tax band B, which we are advised, currently incurs a charge of £1,472.52 (2018/19) Prospective purchasers are advised to confirm this.